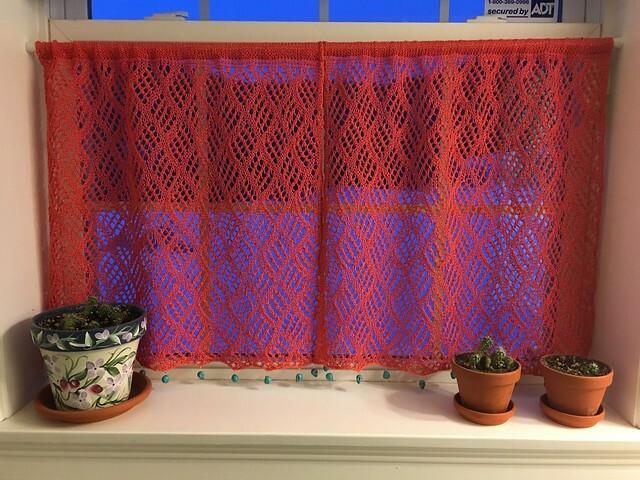 I finished my dappled lace cafe curtains a couple weeks ago. They were a smidgen too short and I mulled over the idea of adding beads to the bottom- to add a little length and weight. I was all set to go to the craft store and spend money. Then I remembered the veritable craft store I have at home. I dug around for beads and jewelry making tools that I used last fall when I made stitch markers. 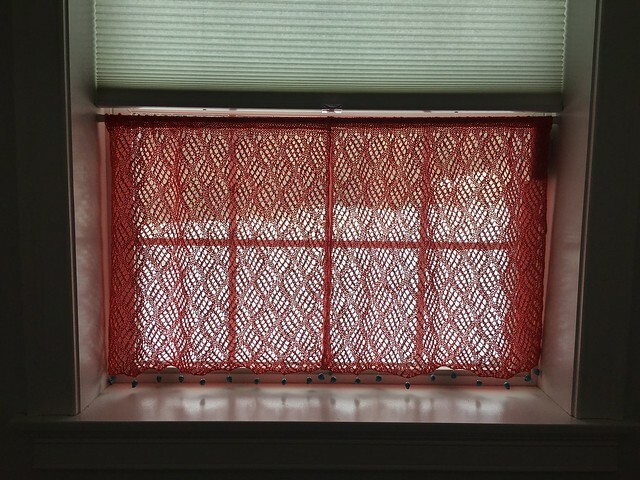 I had exactly the right amount of beads for both curtain panels, in terms of lining the beads up to match the lace pattern repeats. They are permanently attached and not removable, but that's fine. They look just perfect to me. Skulls. Aw yeah. 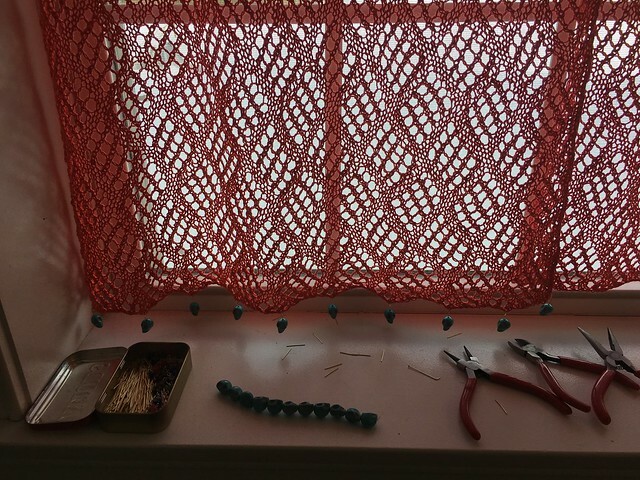 I love the turquoise color with the coral yarn. It only took about an hour to add the beads. If they droop over time to touch the window sill, I'll just raise the tension rod a little. SO GREAT! You really hit it with these perfect curtains! 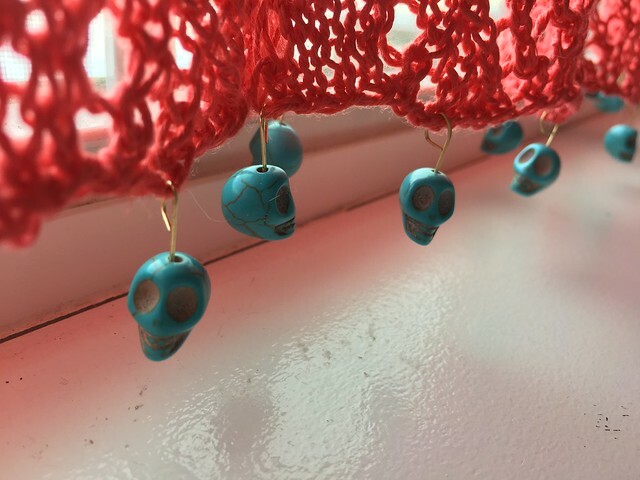 The little aqua skull beads are just the right touch. You brought a bit of Oaxaca, Mexico to your little corner of the world. BRAVO!